Harry Redknapp has signed a one-year contract to continue as Birmingham City manager next season. The 70-year-old former West Ham and Tottenham boss replaced Gianfranco Zola at St Andrew's for the final three Championship games of 2016-17. 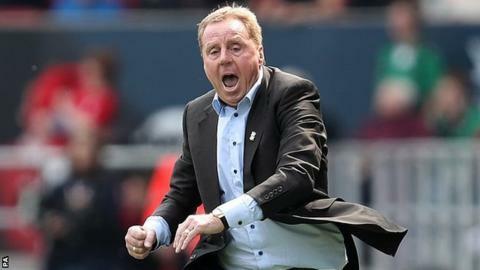 Redknapp guided the side to survival, winning two out the three, as they avoided relegation to League One by two points, with Blackburn going down. His backroom team will be announced "in due course". Initially, Redknapp joined Blues on a short-term contract and revealed he would not be paid if he was unable to keep Birmingham in the second tier. His first match in charge of Blues, and his first as a manager in English football since leaving QPR in February 2015, was a 1-0 defeat by local rivals Aston Villa - a result which left his team just one place above the relegation zone. But successive wins to end the season over Huddersfield Town, where they played for more than an hour with 10 men, and Bristol City on the final day were enough to secure their Championship status.